Foisy, Paul. "Québec Sports Hall of Fame (Le Panthéon des sports du Québec)". The Canadian Encyclopedia, 04 March 2015, Historica Canada. https://www.thecanadianencyclopedia.ca/en/article/quebec-sports-hall-of-fame-le-pantheon-des-sports-du-quebec. Accessed 24 April 2019. During the years after the Second World War, some ardent sports lovers put forward the idea of establishing a CANADIAN SPORTS HALL OF FAME. They realized the project in 1955 with the induction of the first members, but at that time, few French Canadians found their niche within this hall. Although some athletes, such as boxer Eugène Brosseau and runners Édouard Fabre and Gérard CÔTÉ, succeeded in dominating their disciplines and thrilling their fellow citizens with their exploits, the francophone community was not yet ready to take on a similar venture. In the early 1970s, the project of a Québec Sports Hall of Fame took shape through the initiative of Carl Schwende, a Swiss émigré who had settled in Québec in 1948. Thus, on June 26, 1973, the Panthéon des sports amateurs du Québec took out its charter. This organization, led by Schwende, fell under the authority of the Confédération des sports du Québec (CSQ). 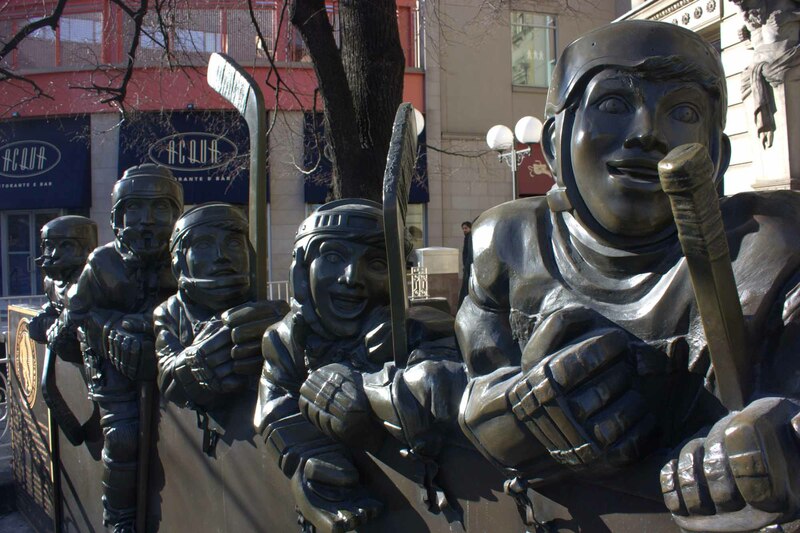 April 18, 1974 was a moment of note in Quebec's collective memory: at this time, Québec publicly recognized the achievements and successes of six sports personalities. However, the organization of such an event requires great effort and major financial contributions, so in spite of the evening's success the CSQ hesitated to follow up on the initiative. Having temporarily abandoned the Sports Hall of Fame to its fate, the CSQ attempted to open the hall's doors again in 1978, 1981, 1982 and 1986. With an athlete's endurance, Carl Schwende bet on the long-term, and in the summer of 1989 he proceeded to form a provisional committee for the Panthéon des sports du Québec. During an intensive seven-month period, the new team breathed fresh life into this project, which from now on was intended for both professional and amateur competitors. On February 12, 1990, Les immortels du sport québécois was legally set up by virtue of section 3 of the Business Corporations Act (R.S.Q. Chapter C-38). Its consolidated objectives were to promote the tradition and history of sports in Québec, to create a Hall of Fame, and to establish a sports museum and archives. 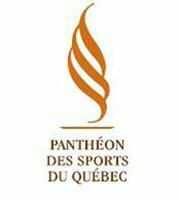 The appellation "Panthéon" had already been registered, but eventually the committee reached an agreement with the owners and on May 7, 1990, a special general assembly adopted a rule to change the corporate name from Les immortels du sport québécois to the Panthéon des sports du Québec. On June 12, 1990, the provisional committee terminated its activities in favour of a permanent structure. A few weeks later, on July 17, 1990, the launching of the Panthéon des sports du Québec took place in collaboration with the Olympics Installations Board. By lighting the Olympic cauldron and through its association with the establishment of the Panthéon, this Board made a symbolic gesture demonstrating its intention to promote the development of amateur and professional sports in Québec. With strong support from all quarters, and satisfied with the launch's tremendous media impact, the Panthéon, under its president Edgar Théôret, continued toward the realization of its action plan. They worked tirelessly to form a selection committee to organize the first gala, initiate the creation of a sports museum, and seek the necessary funding to achieve these goals. On April 25, 1991, the Panthéon unveiled the names of its first twelve inductees at a May 24 gala in a Montréal hotel. Among them were great Québec athletes such as Maurice RICHARD, Gilles VILLENEUVE, Gérard Côté, Pierre HARVEY and Gaétan BOUCHER. In addition to the twelve new members, the Temple de la renommée des sports du Québec officially welcomed the members who had been named in 1974. Since then, the Panthéon des sports du Québec has inducted 176 sports personalities into its Hall of Fame. Now, besides organizing an annual golf tournament, the Panthéon des sports du Québec continues to work toward its goal of establishing a Québec sports museum.